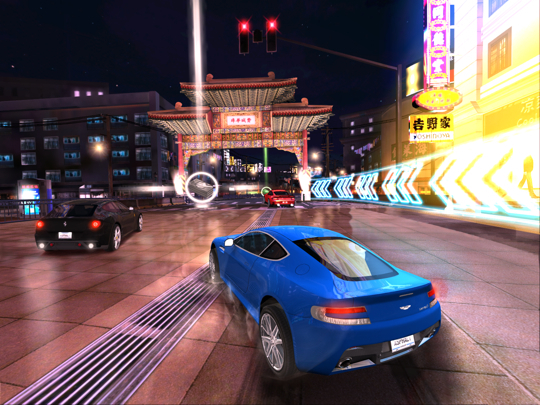 Gameloft takes us on an exotic tour around the world, full of detailed tracks and expensive speed machines. On traditional gaming handhelds like Nintendo 3DS and PlayStation Vita, Gameloft's Asphalt series comes up woefully short. It's bizarre, because on the mobile side, Asphalt is a premier franchise, with each new entry superior to its predecessor. That said, the upcoming Asphalt 7: Heat appears to have all the assorted bells and whistles necessary to dethrone the completion while becoming a go to racer for iOS and Android fans. As usual, it starts with the cars, of which, there are 60 licensed vehicles from a variety of manufacturers, such as Audi, Lamborghini and Aston Martin; for kicks, the developers threw in the DeLorean from the famous Back to the Future trilogy. Bottom line, there are no shortage of run rides to step behind the wheel of. Naturally, you'll unlock these speed machines the longer you play, but this time, there's the option to rent the game's cars for a day through in-app purchase. 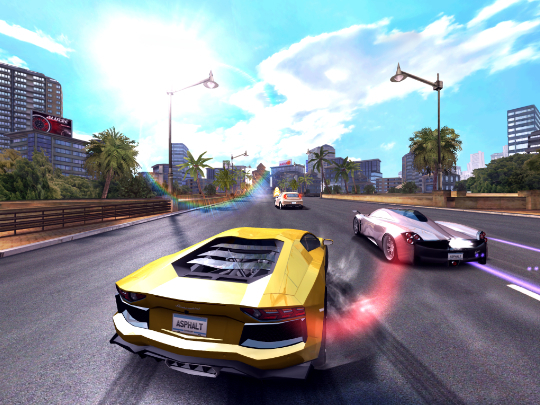 On top of that, Gameloft upped the ante with 15 gorgeous tracks set in new locations to the Asphalt series, places like London, Paris, Miami, Rio and the beautiful state of Hawaii; the game supports the new iPad's Retina display, thankfully. Fireworks near Big Ben as we scream down the track? Sounds like a plan. In addition, there are 150 races to enjoy, along with six different modes. Quick Race is in there, as expected, but you'll also enjoy King of the Hill, Elimination and Paint Job (crash into rivals), among others. We're also big fans of the in-game slot machine that randomly pairs three options for a somewhat unique racing experience. You're free to pull the virtual lever or customize it yourself, selecting not only the race type, but also tier of the opposition; this goes from one (easiest) to seven (toughest). Meanwhile, the game comes fully equipped with six-person online/local play, but what really intrigues us is the all-new Asphalt Tracker, which lets you challenge friends, compare stats and achievements gained. Reminds us of the Autolog from EA's Need for Speed series. Finally, Gameloft created multiple control types for different racing styles, be it tilt or touch. The cars auto accelerate, giving you a chance to focus more on the road and drifting instead of keeping a thumb on the gas at all times. Now we just need a release date. Asphalt 7: Heat appears to have what it takes to climb the App Store rankings, and we look forward to exploring Rio from the comforts of home via iPhone/iPad and Android. Prepare to make your rivals choke on your exhaust later this summer.